One of my buddies had lunch yesterday at Cattleack Barbeque (Dallas, TX). 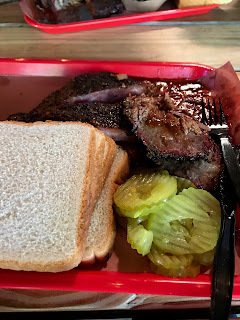 Pictured are brisket and pork ribs. Not pictured is the macaroni & cheese he said he ate so fast that he didn't get a pic of it.